A couple of weeks ago, while driving down to my hometown of New Orleans, I decided to see if I could locate the historic marker of a place, I believe will become my earliest known French Canadian ancestral settlement equivalent to “Jamestown” on the Gulf Coast at Mobile. Like those descendants who can trace their ancestral lineage to the early English colony called “Jamestown” on the east coast of Virginia. 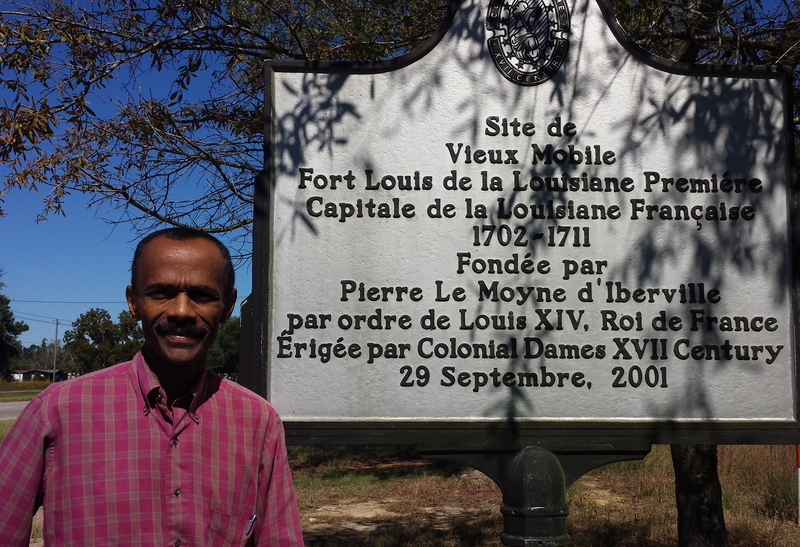 I now believe those with colonial French Canadian ancestry in Louisiana can stake a claim as descendants of those who helped established and settled Old Mobile, Fort Louis de la Louisiana, in 1702. I am working on documenting one ancestral line that originated out of Montreal, Quebec Canada down to the Lower Mississippi valley during the early the 18th century. 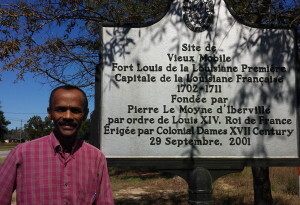 The place which I refer to, was called Old Mobile: Fort Louis de la Louisiane. It was established in 1702 and remained in place until 1711. In his book with same titled Jay Higginbotham, the Director of the Mobile Municipal Archives chronicled this nine year period on what would become early French settlement – Fort Louis de la Louisiane, on the Gulf Coast at Mobile. I will continue to blog about my Ancestor(s) who were discovered at Old Mobile, the research discoveries and the documents used to substanitate my evidence of a direct lineal French Canadian ancestors who was discovered at Old Mobile: Fort Louis de la Louisiane, between 1705 – 1711. Stay tuned.